If you’ve been following the guide to creating The Ultimate Weight Training Workout Routine from the very beginning, then congrats… you just learned a ton! 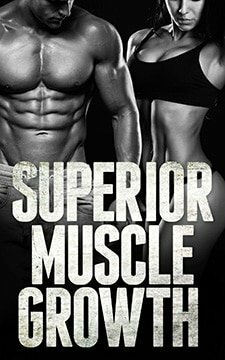 At this point you’ve figured out what your exact goal and training experience level is, found out how much frequency, intensity and volume is best for you, chose a workout schedule that is optimal for what you need, selected the exercises that are most ideal for you, learned the importance of progressive overload, and created a diet plan that will perfectly support it all. So, good luck putting your workout routine together and have a nice life. Wait… what? What’s that you say? 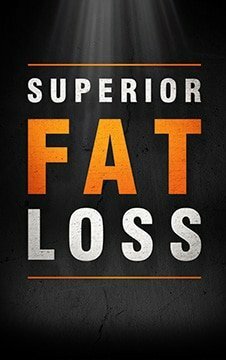 You want sample workout routines and example weight training workouts? Oh, ok. You got it! However, before we get the those sample workouts, there’s a few things that need to be said first about the pros and cons of sample workout routines. Even though I’ve done my best to explain exactly how to create the weight training program that will work best for you, it’s always possible that you can still screw something up. As someone who has spent a ton of time on various fitness/training related forums over the last 10+ years, I’ve seen it happen constantly. No matter how much high quality information a person is exposed to, it’s up to them to actually execute it properly. And needless to say, that execution doesn’t always turn out so well. This seems to be extra true when it comes to designing weight training workouts. However, that’s where pre-made sample workout routines come in. Assuming the person designing the sample workouts actually knows what they’re doing, you end up getting what should be an already proven and extremely effective weight training program 100% of the time. And that’s what makes intelligently designed sample workout routines so great. They eliminate the risks that come with leaving program design in the hands of someone who may not be truly ready to design themselves a program. The potential for you to accidentally screw something up (big or small) along the way is gone and you’re basically guaranteed that your weight training program is set up exactly as it should be. That’s why some of the most widely used and highly successful workout routines in existence are pre-designed programs. They are just what works best for most people, and this is the #1 reason why I released an entire guide of proven workouts (The Best Workout Routines). As I’ve said over and over again on this site, the key to creating the most effective weight training workout routine possible is doing all of the things that are optimal for you, your goal, your body, your schedule, and your preferences. And that fact brings us to the only real downside of sample workout routines: they can’t possibly take ALL of that into account and be absolutely 100% perfect for EVERY SINGLE PERSON in EVERY SINGLE SITUATION. Don’t get me wrong, it’s very possible to write up an example weight training routine that would work amazingly well for the majority of the population with a certain goal… but everyone? That’s just not possible. That’s a big part of the reason why a lot of very smart people avoid creating example workout routines. They prefer to only work with each person individually and create a program that is tailored to them based on their exact situation and goals. While that need for individualization tends to be more warranted as you get more advanced and/or your goals become more advanced, it’s sometimes needed most in the earliest stages based solely on what you’re capable of. Even though beginners are the people who are by far the most in need of having someone create a workout routine for them, they are sometimes the group that needs the most individualization. With intermediate or advanced trainees, everyone is within some sane range and level of fitness and will be capable of doing similar workouts. But with beginners, you get ALL kinds of people in ALL kinds of different situations and conditions who are NOT all capable of the same exercises, workouts and routines. For example, should an overweight 50 year old woman who sometimes has trouble getting up a flight of stairs do the exact same sample beginner workout as a fit and athletic 20 year old guy or girl? They could both be complete weight training beginners and benefit equally from the same routine, but the differences in what they can (and maybe should) be doing can vary big time. So, while the guidelines, principles and fundamentals of the workouts will always be perfect, sometimes it’s the minor details (which usually don’t matter) that end up causing problems based on the specific person using the program. This of course is something I have no control over when designing sample workout routines. And that brings me to my point (I knew I was going to make a point sometime). The best I (or anyone else) can ever do is lay out sample weight training programs that tend to be most ideal and effective in MOST cases and for MOST people. It’s then up to you to determine what you are and are not capable of and then adjust as needed using the information I’ve explained throughout the rest of this site. I guess all that’s left to do now is show you what I consider to be the best workout routines for most people in most situations.